For more information on Brattleboro Common Sense, write brattleborocommonsense@gmail.com or visit www.brattleborocommonsense.org. 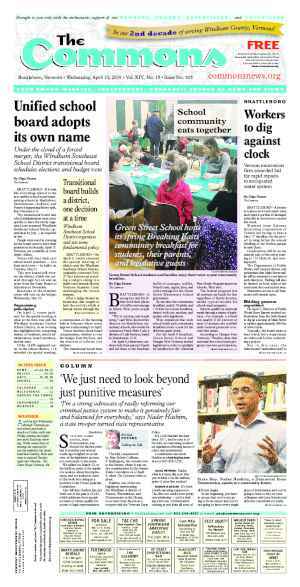 BRATTLEBORO—On a 112-12 vote, Representative Town Meeting members approved a $15.7 million municipal budget on June 2 — a budget that that was reduced after voters defeated the original budget in April. However, a group of citizens who feel the smaller budget lacks meaningful reductions is circulating a petition to call for another townwide vote. 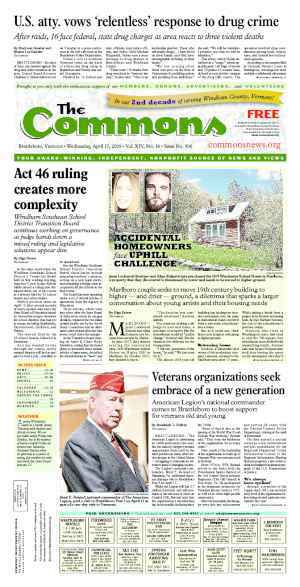 The leaders of the petition drive, members of a group called Brattleboro Common Sense (BCS), will need to gather 418 signatures of registered voters or 50 Town Meeting members’ signatures. 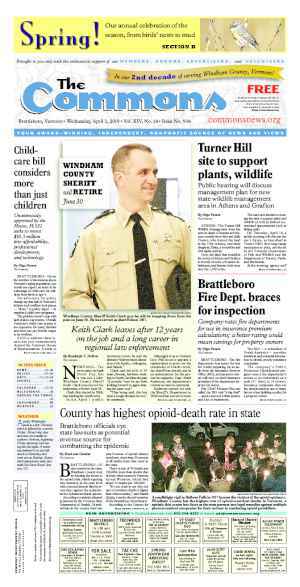 To meet deadlines outlined in the town charter, the petition will need to reach the town clerk’s office by 5 p.m., Thursday, June 12. Town Meeting members overwhelmingly approved the $16 million budget as presented by the Selectboard during Annual Representative Town Meeting in March. Ten days later, on April 1, a petition from 56 Town Meeting members was submitted to the town clerk’s office, calling for a special townwide referendum to reconsider the budget. 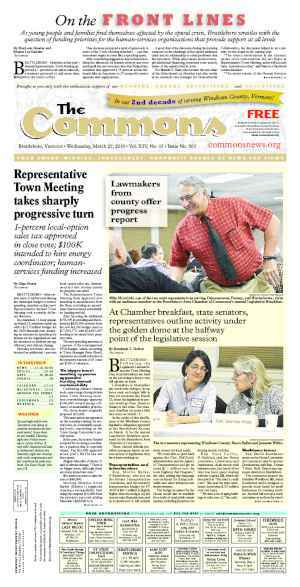 On April 17, town voters defeated the budget, 771 to 478, by Australian ballot. According to Town Clerk Annette Cappy, approximately 15 percent of registered voters weighed in on the special budget referendum. A second such referendum, though aimed at lowering taxes, would cost the town money. Cappy said that the April 17 townwide vote cost $5,500. A second referendum would cost about the same, she said. As well, she said, should the town embark on the new fiscal year, which starts July 1, absent a budget, it will have to borrow to meet expenses. District 2 Town Meeting Member Kurt Daims is among those leading the petition drive, which he’s promoting by e-mail. In that e-mail, Daims writes, “The board made ‘nickel and dime’ changes after a referendum and special election on the budget, reducing it from around $16 million to almost $16 million. In an interview, Daims said he has received numerous calls and e-mails from people angry that the town passed the new, lower-but-not-low-enough-for-them budget. “People are very angry about the budget not being changed after the referendum,” he said. Citizens don’t want the budget to go up, he said. Rather, they want the Police-Fire Facilities Upgrade Project cut back, and they want the fiscal year 2015 budget equal to last year’s budget. In Daims’ view, the Selectboard and a majority of Town Meeting members “took to heart” an assertion made by former Selectboard member Christopher Chapman in a public meeting, to present the same budget for a second vote. “That was just gross,” said Daims. Governments can’t always step in time with citizens’ wishes, he continued, but when government acts against a clear message that the budget is too high, “then that’s anti-Democratic,” he said. From the floor, Daims had attempted to discuss funneling roughly $4 million remaining from a bond for the police-fire project toward paying off other capital expenses. Town Moderator Lawrin Crispe ruled Daims’ discussion not germane to the meeting. The Selectboard had taken a second $9 million project bond from the budget and sidelined the project for a new process, Daims said. Daims said that the police-fire project “pushed townspeople over the edge.” Over the past 15 years, he said, taxpayers have footed the bill for a new wastewater treatment plant, improvements and additions to the Brattleboro Union High School, and the Flat Street Transportation Center. Starting July 1 without a budget in place will not result in catastrophe for the town, Daims said. In his opinion, the remaining $4 million bond money represents cash ready to apply for other capital expenses. The town’s unassigned fund balance, often called surplus funds, stands at about $2 million. Between the two sources, the town could manage two months’ of expenses while it revamps the municipal budget a second time. That is, if the town sticks to its fiscal year 2014 budget of about $14 million, added Daims. The Selectboard discussed reductions it might make to the budget during the annual budget-building process it started last year. Many of the increases, said Board Chair David Gartenstein, originated from fixed costs such as insurance, fuel, and negotiated contracts. Gartenstein also noted the increases due to the debt load of the police-fire project, which RTM approved in October 2012. Estimated costs for the project initially totaled $20 million. The project was scaled back to $14.1 million. People have said the town must ditch the RTM and institute a mayor, acknowledged Daims. That’s a move he doesn’t agree with. “When people say, ‘What’s wrong with the Representative Town Meeting?’ I say they’re not in it,” said Daims. Nothing is wrong with Brattleboro’s government structure, he continued. In his view, the problem is that citizens are “too apathetic to participate.” No one, Daims noted, is running to replace meeting members. If citizens want change, they have to step into the ring, he said. Originally published in The Commons issue #258 (Wednesday, June 11, 2014). This story appeared on page A1.